A John Ferguson from Skye, 50, miller and wright, with his wife of 46 and 2 children, were included on the initial passenger list for the Blenheim, but this family was not on the embarkation or subsequent lists. Spelling: The name has been spelled both “Ferguson” and “Fergusson” in the sources used. Donald Ferguson was described as a miller of 36 in the Blenheim passenger list, while his wife Mary’s age was given as 35. Donald and Mary came from Skye. From the death registration of their son Alexander, it can be confirmed that Mary’s maiden name was McLean. The Fergussons, whose land joined his [Mr Paulin] on the north, came out in the same vessel as the Frasers. They came from Skye. Donald and Sarah came with their people in the Blenheim, and Alexander was born in Wellington. Donald and Alexander Fergusson were very good settlers and much respected: Donald has departed, and all their descendants have left the district, but Alexander Fergusson still lives in the neighbourhood. Lists of persons qualified to serve as jurors for the district of Port Nicholson, published between 1845 and 1850, included Donald Ferguson, Kai warra Road, cartwright, and in 1850, wheelwright. In 1847, Donald Ferguson, cartwright, published a notice in the Wellington Independent of 24 February advising that he would not be accountable for any debts contracted by his wife. It is possible that Mary Ferguson died before the family moved to the Rangitikei district. The Wanganui Herald of 15 February 1888 published, as an historical document, an 1864 petition from the electors of Wanganui and Rangitikei to the Governor, Sir George Grey, seeking to establish a separate province. The petition had 273 names attached to it, including Donald Ferguson, senior, farmer, and Donald Ferguson, junior, farmer. Donald and Mary had a further child, Alexander, with some question as to whether he was the sixth child born on board the Blenheim on its voyage. However, Sir James Wilson, in Early Rangitikei, as quoted above, suggests that Alexander was born in Wellington, and the age and place of birth given for him in his death registration would appear to confirm this. One possibility could be that the Alexander born on the voyage died, and the name was given to the next born. Electoral Rolls show that Alexander Ferguson was in the Rangitikei district with his father and brother in 1875-76, and was a farmer at Silverhope, north-east of Marton, in 1905-06, and at Calico Line, Marton in 1911 and 1914. Alexander Ferguson died on 7 August 1917 at Marton, with his age given as 73. His parents were Donald Ferguson and Mary McLean, he was born in Wellington and he was not married. Marion Ferguson was 9 when she boarded the Blenheim, putting her birth year around 1831. Sarah is the anglicized form of Marion. From the reference in Early Rangitikei it seems likely that Sarah Ferguson went to the Rangitikei district with her father and brother. There is a record of a Sarah Ferguson marrying George Douglas in 1853 in Christchurch. George Douglas had settled in Canterbury in 1850 and managed several runs before purchasing his own at Broomfield. George and Sarah had at least three children before she died in 1867 aged 36, so the birth year is about right. However, it has not been possible, to date, to confirm whether or not this is the Marion (Sarah) Ferguson who travelled on the Blenheim. Donald Ferguson was 7 years old when he travelled to New Zealand on the Blenheim with his family. Elizabeth Sutherland was born around 1845, the daughter of Alexander Sutherland and Elizabeth MacKay who arrived in Wellington on 31 January 1840 on the Oriental. As outlined in The Streets of My City, Elizabeth’s father, Alexander Sutherland, was allotted his one hundred acres at Lyall Bay, and subsequently bought more land from absentee owners as well as from adjoining neighbours. 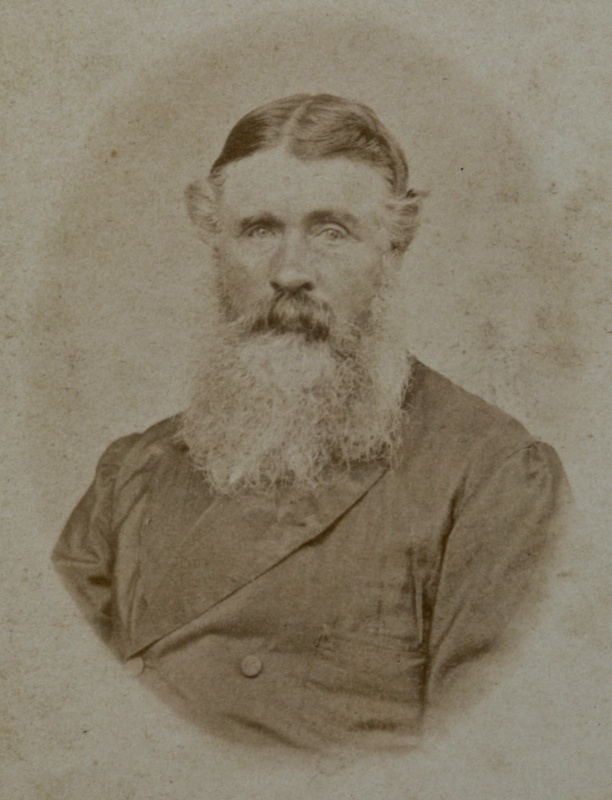 He obtained sheep from Australia, and farmed at Lyall Bay successfully for some years, but felt the need for more pasture, and in the late 1850s purchased a block in the Pahaua Valley of Wairarapa (Ngaipu). The Wanganui Chronicle in June and July 1876 in a number of items from their Bulls correspondent, reported on the death of the eldest daughter of Mr Donald Ferguson from diphtheria, and shortly afterwards the death of his little boy, aged 10, from the same cause. They are buried at Bulls with their grandfather. Katherine McLean Ferguson, born in 1865, died in 1876. Donald Ferguson, born in 1866, died in 1876. Elizabeth Jane Ferguson, born in 1869, died in 1939, married Joseph Warring in 1892. John Douglas Ferguson, born in 1872, died in 1963, married Catherine Matheson in 1897. Marion Alice Ferguson, born in 1874, died in 1943, married Dugald Matheson in 1895. Early Rangitikei, J G Wilson, 1914, available online at The Internet Archive. The Sutherlands of Ngaipu, Alexander Sutherland, 1947. John Ferguson, 22, joiner, was included on the embarkation and arrival lists for the Blenheim. 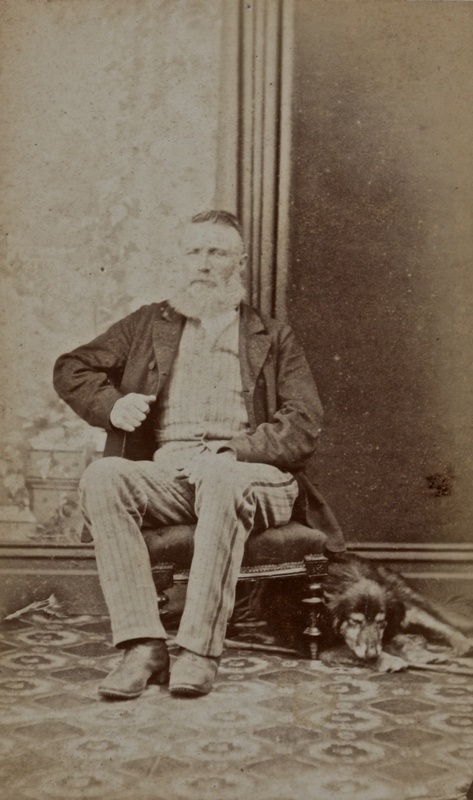 A John Ferguson from Skye, 50, miller and wright, with his (unamed) wife of 46 and 2 children, was included in the additions to initial passenger list for the Blenheim, but this family was not on the subsequent lists. Also on the embarkation and arrival lists was the family of Donald Ferguson, origin not identified. John Ferguson was 22 when he emigrated on the Blenheim, giving a birth year of around 1818. A John Ferguson, Te Aro, carpenter, appeared on the Burgess Rolls for Wellington in 1842. No further information has been confirmed for John Ferguson.